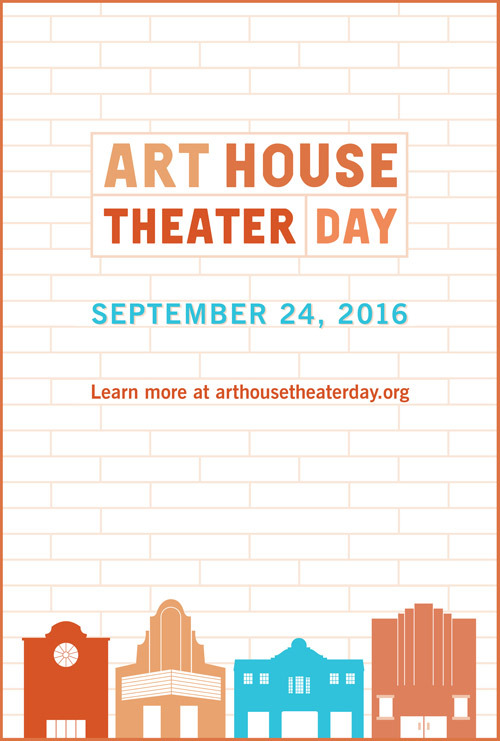 (Cleveland, OH) – The Art House Convergence, an international consortium of independent, community-based, mission-driven movie theaters, is pleased to announce the first Art House Theater Day, taking place on Saturday, September 24, 2016. Over 160 theaters, including the Cedar Lee Theatre (2163 Lee Rd., Cleveland Hts., OH) and Capitol Theatre (1390 W 65th St., Cleveland), will participate in this nationwide celebration of the cultural and community growth that art house theaters promote. In an age where media has become more digital than tangible, more solitary than social, art house theaters remain physical spaces where film lovers can congregate and connect with each other around intrepid, creative filmmaking. Art houses nurture an ecosystem of adventurous audiences and independent productions, and function as economic drivers in their communities. In addition to their regularly scheduled films, the Cedar Lee Theatre and Capitol Theatre will feature the following special programs, promotions, Q&A’s and collectible merchandise as part of Art House Theater Day. Come visit A TOWN CALLED PANIC, with two award-winning new specials from the Academy Award-nominated directors of ERNEST & CELESTINE. Cowboy and Indian are always up to some hare-brained scheme, with Horse left to clean up the mess. In THE CHRISTMAS LOG, their out-of-control antics lead Horse to call Santa and cancel their presents. In BACK TO SCHOOL, a class assignment yields a special prize, but only Pig knows the answer. FREE limited edition Time Portal Map designed by Terry Gilliam while supplies last! New 2K digital restoration of Terry Gilliam's 1981 film in which a young boy accidentally joins a band of dwarves as they jump from era to era looking for treasure to steal. Danny Says, directed by Brendan Toller, is a documentary on the life and times of Danny Fields, who since the 1960’s has played a pivotal role in the music and culture of the late 20th century. Fields worked with legendary artists like the Doors, Cream, Lou Reed, Nico, and Judy Collins, and managed groundbreaking acts like the Stooges, the MC5 and the Ramones. Merchandise for sale for Danny Says: Limited edition t-shirt featuring one of Danny’s home photos of Dee Dee Ramone. *Note that Author: The JT LeRoy Story will be playing for additional shows as a regular engagement starting on September 23rd. Only the 7:00 show on September 24th will feature the director Q&A. New digital restoration of Don Coscarelli's 1979 horror classic. A young boy and his friends face off against a mysterious grave robber known only as the Tall Man, who keeps a mysterious arsenal of terrible weapons with him. Merchandise for Phantasm: Special edition MONDO t-shirt and pin will be on sale exclusively at Art House Theatre Day locations. In addition to these special programs, the Cedar Lee Theatre and Capitol Theatre will be offering a free fountain drink with any popcorn purchase. Buy any size popcorn on September 24th and receive the same size fountain drink for free. Patrons visiting the Cedar Lee Theatre or the Capitol Theatre on September 24th will have a chance to enter a special drawing to win a Cleveland Cinemas season pass. This pass will be valid for the winner and a guest to attend unlimited films for one year at any Cleveland Cinemas location. Regular admission rates apply to Art House Theater Day films. Matinee shows will be $6.75. Evening shows are $9.50 for Adults, $8.50 for Students and $6.50 for Children and Seniors. Additional titles and times will be available on clevelandcinemas.com for Art House Theater Day starting Tuesday, September 20th once bookings for that week are finalized. 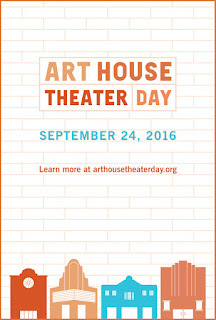 To see the complete list of participating theaters & for more info visit arthousetheaterday.org.